This is a port of the original M0110 converter from TMK to QMK. 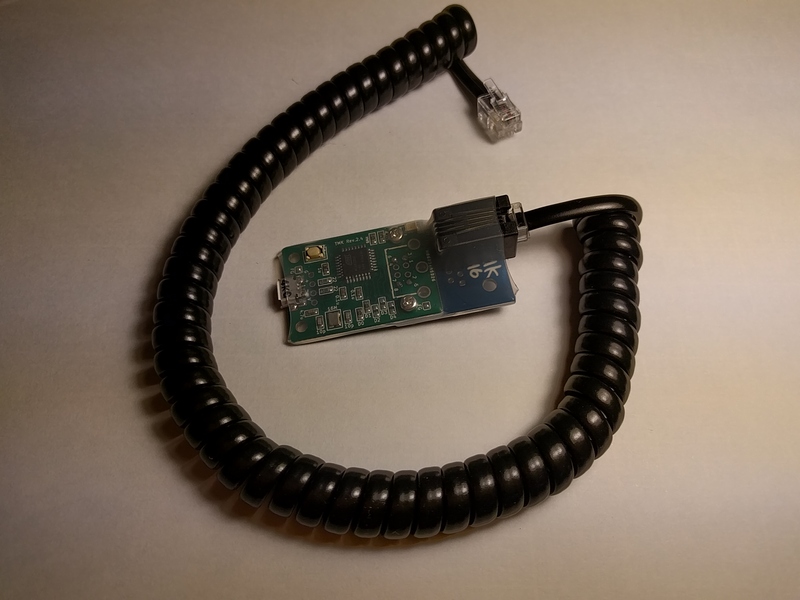 The original converter was designed to work with ATmega32U2 and ATmega32U4 based microcontrollers to convert Apple M0110/M0110A keyboards and M0120 numpads to USB. This port has been tested to be compatible with the Adafruit Feather 32U4 BLE. Simply add BLUETOOTH = AdafruitBLE to your rules.mk file. This enables code specifically for the Adafruit Feather 32U4 BLE. If enabled, the device will use the PRODUCT and DESCRIPTION values from config.h for the device name displayed by the Feather on host devices. You can simply change these values to change the device name. This port utilizes the same pins that the TMK converter used. PD1 is used for CLOCK and PD0 is used for the DATA from the keyboard. These pins can be changed in config.h. You can buy preassembled TMK converter or make yourown with AVR dev board like PJRC Teensy. Port of the MCU PD1 is assigned to CLOCK line and PD0 to DATA by default, you can change pin configuration with editing config.h. Note that original cable used with Mac is straight while phone handset cable is crossover. You may need pull-up resistors on signal lines(CLOCK, DATA) in particular when you have long or coiled cable. 1k-10k Ohm will be OK >for this purpose. In that case the converter may not read signal from keyboard correctly without pull-up resistors.